IAFF leaders across the United States and Canada go above and beyond the call of duty to protect the interests of their members. 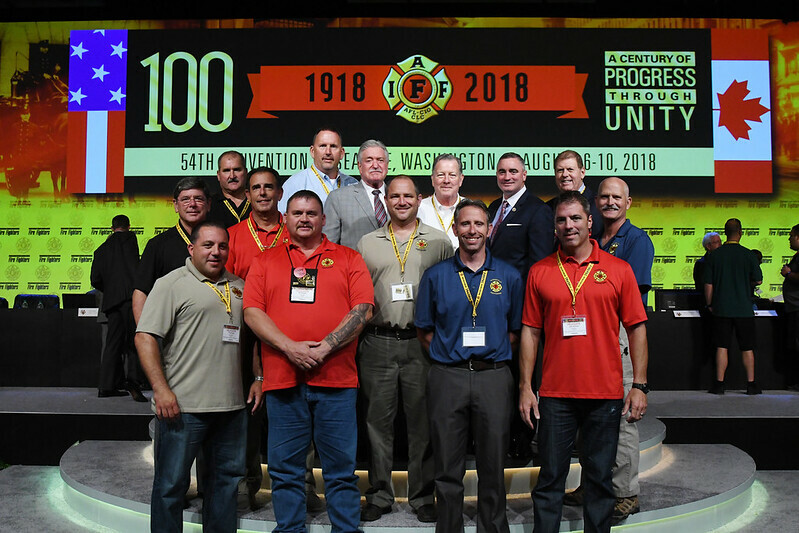 At the IAFF 54th Convention, 16 affiliate leaders, one from each district, were honored with an IAFF Leadership Award for their accomplishments in serving their locals and the union. As President Schaitberger presented the awards, 16th District Vice President James Johnson and 10th District Vice President Frank Lima called each recipient to the stage. District 3 – Brockton Firefighters Local 144 Past President Archibald “Archie” Gormley Jr.